Book marketing can be a huge, disastrously overwhelming topic that includes conversations about Twitter and Instagram and Facebook pages and blogs and podcasts and ads and a hundred other things. 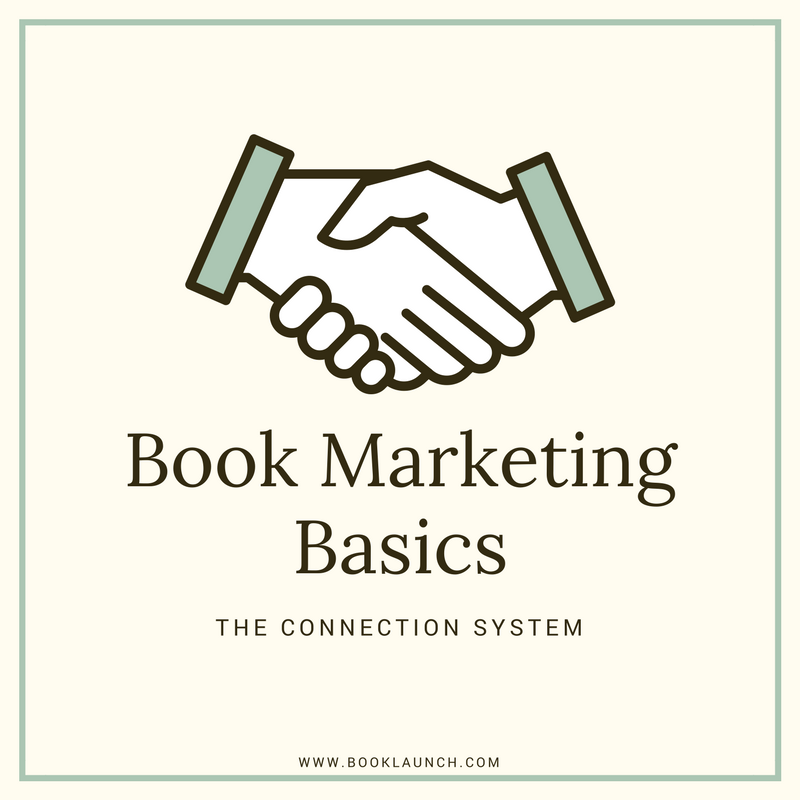 In this article, I will help you simplify and organize your plans by teaching you the basics of book marketing with the Connection System. I’ve been working with authors for over a decade to help them build their platforms, connect with readers, and sell more books. I’ve worked one-on-one with hundreds of authors including New York Times and Wall Street Journal bestsellers like Hugh Howey, Daniel Pink, Barbara Corcoran, Sally Hogshead, Chip and Dan Heath, Robb Wolf, Charles Duhigg, Jean Chatzky, and many many more. I’ve worked across all genres — fiction and non-fiction —, publishers — traditional and indie —, and authors — big bestsellers to just-getting-started. The advice I give is always based on real-world experience that I have tested across many different authors and platforms. My goal is only to give advice that I know will work for you because I’ve gone out and tried it for myself with my platform and my client’s. For most authors, the word marketing is a dirty word. We often picture a used car salesman trying to unload a ten-year-old minivan on us (am I the only one?). From my experience, it’s a pretty similar reaction to the word “marketing” for most people. I’ve read that several times and still have no idea what it’s actually saying. So, I came up with my own definition based on what I see successful authors doing. What I’ve seen over ten years working with authors is that if you do those two things, then you are going to succeed. Everything I teach in this article and anywhere else comes back to this basic definition of marketing. We’re always trying to create long-lasting connections with people, and then once we have those connections, we do everything we can to add value to their lives. That doesn’t seem so bad right? When I first hired a business coach many years ago, the first thing he talked to me about was getting good systems going in my company. I thought he was crazy. At the time, I had only one employee, and we shared an office. When I thought of systems, I thought of big, complex machinery like a car assembly-line or something. But after we started working together, my coach taught me that a system could be as simple as your car keys. Every single day when I get home from work, I take my keys out of my pocket, and I drop them in a little silver dish that sits on a white cabinet just to the left of our front door. If you come to my house while I’m home, that is where you will find my keys. I’m sure you have something similar. Maybe you keep them in your purse or on a hook next to the door. Of course, it’s so the next morning when we are trying to get out of the door; we know exactly where to find our keys. Anything you repeatedly do to get predictable results. I put my keys in the same place every day, so I can predictably find them the next day. If you can create a system around something it allows you to a) know what to do so that b) you can get predictable results. I brush my teeth every day at the same time with the same toothbrush and toothpaste so I can get the predictable results of not getting cavities. I take the same route to my office every day, so I can have the predictable result of getting to the right place without hitting traffic. What I’m going to teach you next is how to create a system around your marketing that gets the predictable results of selling your books. One of the biggest hangups I see in any discussion on book marketing is how quickly the conversation gets focused on specific tactics. I often get asked questions about the newest way to do Amazon advertising or how to take advantage of Facebook groups or how often to post updates to a blog. Each of these things — and the hundreds of other things you can do to promote your book — are merely tools in a toolbox. That’s it. There’s nothing special about any of them, just like there’s nothing special about the tools in your toolbox. Before you ever start pulling out tools trying to build something, you have to have a plan on exactly what you are trying to build. Awhile back, my wife wanted me to build something for our kitchen. We had just moved into a new house and for mother’s day she wanted me to build her an island so she could have some storage underneath and a place to prepare food on top. While I know enough about tools to not cut off my fingers, I’m not much of a woodworker, so I went online and looked around for some direction on how to build a kitchen island. I ended up finding a design that we liked. Here’s what’s great about the plans that I found… the first thing it did was tell me what tools I needed in order to build the kitchen island. You would never start a project like this by deciding what tools you would use. You start with the plan, and then the plan dictates what tools you should use. The same goes for marketing. Once you come up with a plan for your marketing, you reach into your toolbox and pull out the right tools for the job. So, we’ve defined marketing, we’ve talked about systems, and I’ve introduced the idea of plans vs. tools. The next step here is to combine all of this. The natural result of selling books. As I worked with author after author and studied the authors that were finding success, I started to see a pattern. I found an overarching system that every successful author was using to get predictable results of book sales. And it could all be boiled down to three simple principles. So whether the author was active on social media or not, or had a blog or didn’t, or did a ton of speaking or not, or showed up on national media or not, or traditionally published or not… that didn’t matter. 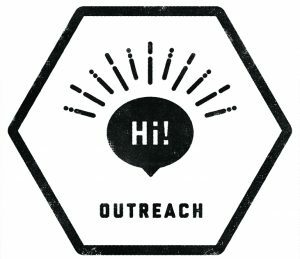 Outreach: The act of moving people from not knowing you exist to knowing you exist. 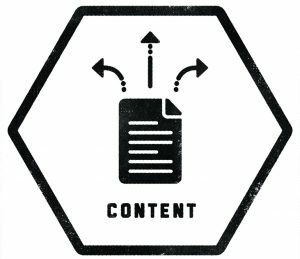 Content: Providing a way for people to get to know you and your writing. 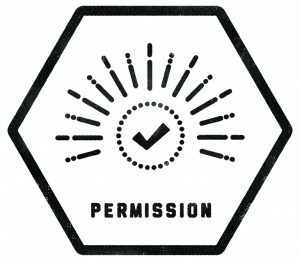 Permission: A way to stay in contact with people long-term. This is the Connection System. What I saw was that if an author was able to solve these three problems, they were able to build a platform that predictably sold books. The act of moving people from not knowing you exist to knowing you exist. Your first problem as an author is that enough people don’t know you or your books even exist. How are they supposed to buy something that they don’t know exists? The first problem you have to solve when you are marketing is how to move people from not knowing you exist, to knowing you exist. Be a guest on a nationally televised program. Get interviewed on a podcast. Get your book reviewed in the New York Times. Have a popular blogger write an extensive post about you. Post a lot on Reddit. Stand on the street in Times Square, New York with a bunch of business cards introducing yourself to random people. Literally, anything you do that moves people from not knowing you exist to knowing you exist is Outreach. Of course, there are ways to do this that are more effective than others, but right now that is not the point. Unless you have a plan for how you are going to accomplish Outreach, you will never build a successful author platform. Providing a way for people to get to know you and your writing. Every time I’m looking for a new book to read, I download a sample of it to my Kindle. This gives me a chance to try out the author’s content to see if it’s a good fit for me. When I listen to a podcast and an author is being interviewed, if I like what she has to say, I often go to her website or check out her new book. Content is the second step in the Connection System and is how people get to know you and your books and see if you’re a good fit for them. Of course, not everyone — not even most people — will like your work, but that’s ok. Content is how you find your audience. Your goal is to put out content widely and freely in different channels so people have an opportunity to connect with your work and decide if it’s right for them. Start a blog and post regularly. Start a podcast and release episodes regularly. Publish new research and studies in your field. Release a novella based in your novel’s world. Start a YouTube channel and release new episodes regularly. The goal here is to put out content in as many different places as possible so your audience can find it and connect with you. Note: Outreach and Content often work hand-in-hand in the Connection System. Getting interviewed on a podcast is both introducing you to people that have never heard of you before and providing content. Getting an author friend to send your free novella to their email list is moving his fans from not knowing you exist to knowing you exist while giving them Content to connect with. Same with YouTube or getting your work published in a professional journal. A way to stay in contact with people long-term. If you work really hard to get Outreach opportunities and people enjoy your Content, that’s great. But it does not create a long-lasting connection. Sure, maybe they buy a copy of your book after hearing you on that radio show, but then what? What about your next book? The problem with relying on Outreach alone to launch a new book is that every time you release a new book you have to do all the same work again to find people to buy your book. You’re starting at zero every time. That’s not marketing. That’s publicity. Publicity is constantly running around trying to drum up interest in something. Publicity is hard, getting harder, and has a quick rate of diminishing returns. Marketing is creating long-lasting connections. You move from Publicity to Marketing when you have Permission. Permission is what you build when, once you have a connection to someone, you can continue to communicate with them long into the future. In Outreach and Content, I said there are thousands of ways to do those effectively. Of all the tools out there that allow people to connect with you long-term — Twitter, Facebook, Instagram, Pinterest, Podcasts, Blogs, YouTube channels, etc. — there is only one that has the greatest effect on 1) getting people’s attention and 2) driving action… Email. I’ve talked extensively about myths of social media marketing for authors and why email marketing is so important. If John randomly hears you on a podcast and buys a copy of your book, how reliably can you get John’s attention and get him to buy a copy of your next book two years from now? I’d say that number is close to zero. However, if I get John to join my email list, I’ll be able to sell him a copy of my current book, and then the book I come out with two years from now, and then all my other titles in the future. If you line up the three parts of the Connection System, you’ll see they work together very well. Outreach moves people from not knowing you exist to knowing you exist. Now that people know who you are, they engage with your Content so they can see if you’re a good fit for them. Then, you create a long-term connection with them by getting Permission to stay in contact with them long-term by joining your email list. Every. Single. Author. Has to solve all three of these problems in order to be successful. Hugh Howey, New York Times bestselling author of Wool, started by blogging on his website (Content) and self-publishing his books on Amazon. He was always quick to help anyone that reached out to him (Outreach) and started going to conferences and workshops in the writing world (Outreach). As more people started finding his books, his serialized novel Wool started gaining traction. People began following his blog (Permission), connecting with him on social media (Permission), and signing up for his email list (Permission). 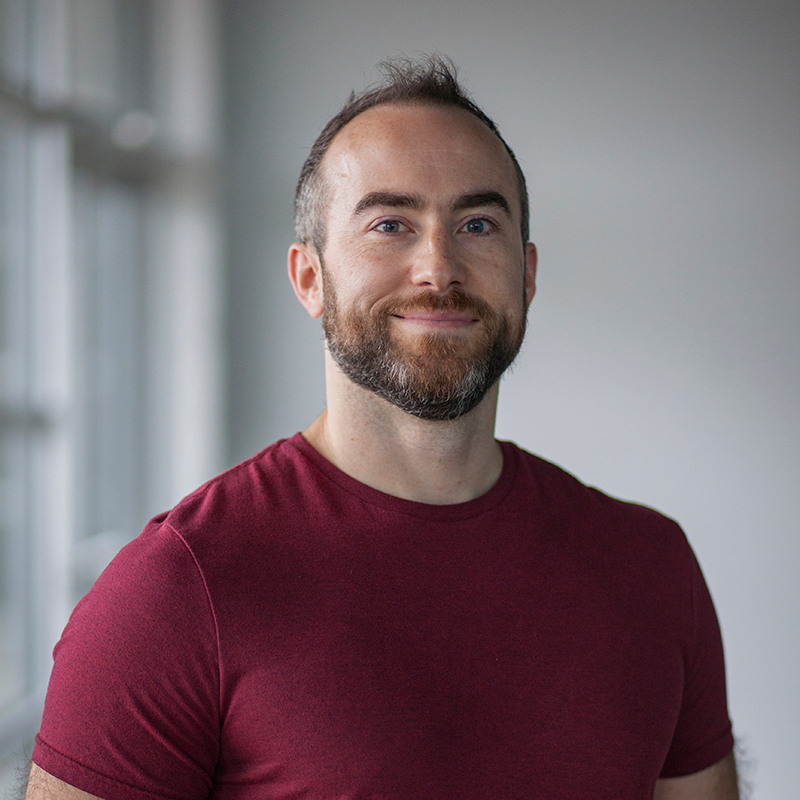 Now, after doing this for years, he has a solid platform with thousands of connections to readers so when he comes out with a new book he can immediately connect with his audience and let them know that it’s available. Stephen King is, well, Stephen King. He’s written sixty books and sold hundreds of millions of copies of his books. He’s been publishing his writing for 50 years (Content), and the success of his writing has made him famous (Outreach). Now, when he comes out with a new book, he doesn’t have an email list, but every bookstore in every town and airport prominently displays his book on the front tables of their store (Permission). Yes, even the most famous, prolific writers have to solve all three problems in the Connection System! This article is meant to help you take a step-back and look at book marketing from a higher level. It’s not about figuring out the perfect time of day to post on Twitter or the right word count for your next blog post. Your goal is to create long-lasting connections with people and then be relentlessly helpful. The way you do that is by creating a reliable system that helps you solve three problems: Outreach, Content, and Permission. Everything you do should be trying to solve one of those three problems. If you find yourself debating in your mind about the icon to choose for you new Facebook Group, you’ve lost sight of the overarching picture. 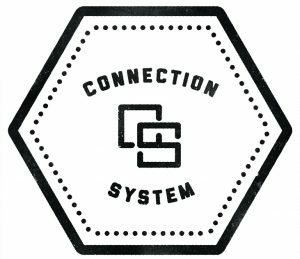 Build your Connection System. Spend your time solving the three problems in the Connection System, and you will find success.